In Which the Pirate Has New Socks. I've been considering the idea of matching my sock patterns with cocktails for a while, and the first one in a new series is finally knit! These are the Boulevardier Socks, knit in Tess' Designer Yarns Super Socks & Baby in a rich shade of amber. I bought this yarn an embarrassingly long time ago and am pleased to have finally knit it up! As soon as I've translated my scribbled notes into something that can be shared, I'll be publishing the pattern on Ravelry. 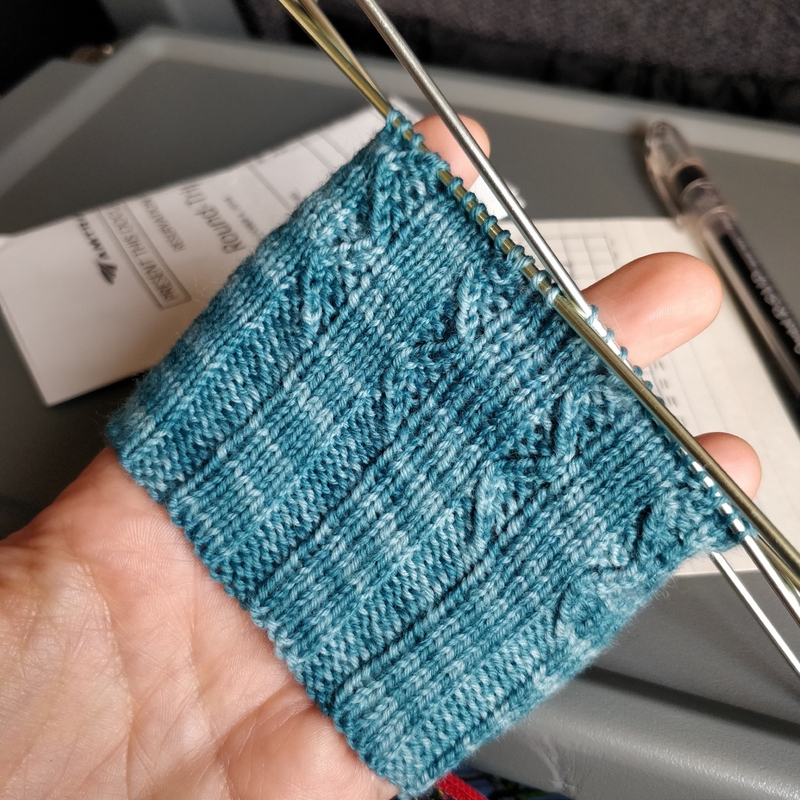 My usual sock knitting tends to be the sort of plain thing that I can carry around with me and knit without too much concentration, but semi-solid or tonal yarn is kind of boring for just stockinette socks, or even plain ribbing. So I've got three of these twisted stitch socks charted out and in my queue, and I'm excited about knitting them all up - and about mixing the perfect matching cocktail for each of them. 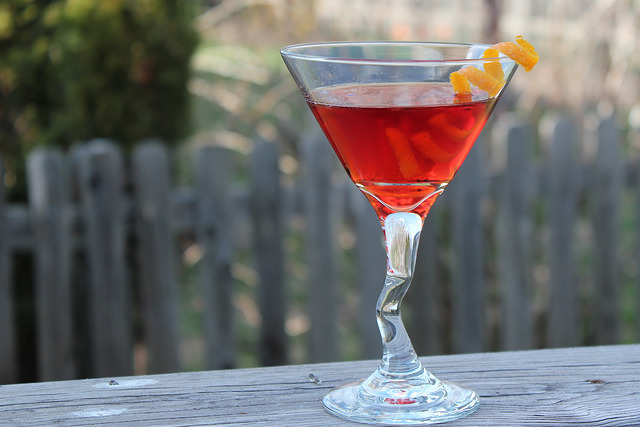 Why a Boulevardier for this pair? Well, for starters, they're delicious. Secondly, their colour matches these socks perfectly! 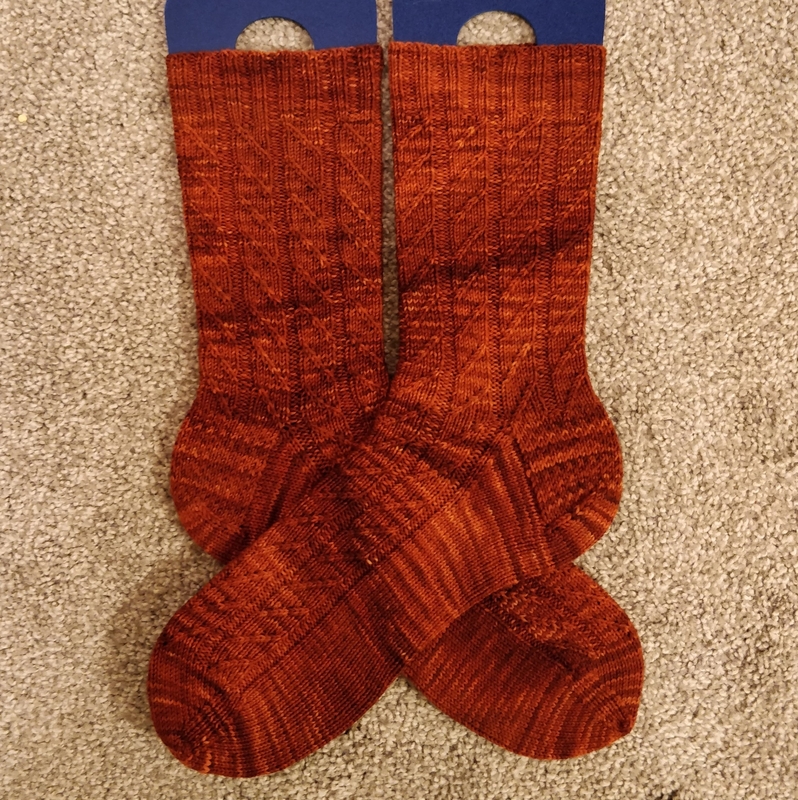 But thirdly, and most importantly, they're often served with a twist... and these socks have little left and right twists all up and down the ribbed stitch pattern. These twists, or two-stitch cables, are super easy to work but give a lot of visual and textural interest to the fabric. I hope you enjoy knitting them as much as I did!